Up to $20,000 relocation assistance offered for a two year contract. This modern medical centre is one of the largest multi-disciplinary health centres in the region and attracts patients from the local community and from more remote, outlying communities. It is located in a District of Workforce Shortage region and provides quality family and industry-related medical care to an average of 1600 patients per week. 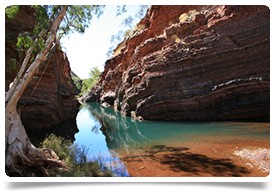 Karratha is one of the largest cities in the picturesque Pilbara region of Western Australia, with the practice treating a variety of clinical presentations, inherent to a rural environment, from most of the active mines in the area. Working alongside six General Practitioners, there is ample support available with an on-site Medical Director and facilities including a multi-bed treatment room, allied health and Western Diagnostic Pathology collection facility. To meet the growing demand for medical services in the region, the clinic has facilities available for experienced General Practitioners with speciality interests including (but not limited to) Occupational Health and Medicals, Skin and Cosmetic, Mental Health and Chronic Disease Management. Administrative support is provided by a dedicated team of Medical Receptionists, led by an experienced Practice Manager, allowing General Practitioners more patient time. The centre is open Monday to Friday from 8.00 am to 7.00 pm, and Saturdays from 8.00 am to 4.00 pm. You will be able to work a flexible range of hours across this which suit your requirements. Karratha is one of the largest and fastest growing towns in the north of Western Australia (WA) and is known as ‘Munjaree’, the heart of the West Pilbara Coast. Its size and central location makes it the ideal base for exploring the delights of Millstream-Chichester National Park, Karijini National Park, Dampier Archipelago, Point Samson Peninsula and the Burrup Peninsula. The amazing Ningaloo Reef is also just 350 kilometres to the east. Located 1,535 kilometres north of Perth, Karratha is also the administrative centre for the City of Karratha and local headquarters for many Federal and WA State Government departments.